My children love pancakes. (Do you call them pancakes or hotcakes?) I’m not sure that anyone really dislikes pancakes, actually; what’s not to like? Perhaps some people just don’t care much one way or another. But not my boys; they LOVE them. I’ve tried many different ways to make them over the years: recipes from old cookbooks, recipes from the internet, Bisquick mix, pre-mixed squirt-bottle mixes, gourmet shop mixes, and more. Some are ok, but usually I can taste that odd preservative flavor in the pre-made mixes. I don’t like that! This morning I decided to try a new variation of my homemade pancake batter with buttermilk, and I finally think I’ve struck gold! I was so excited that I had to come straight here to share the hotcake love with you! Place the eggs in a mixing bowl and beat them. Add to it the buttermilk and baking soda. Mix well. Add the flour, sugar, baking powder, salt, and oil. Mix to blend ingredients, but don’t overblend or batter will make tougher pancakes. 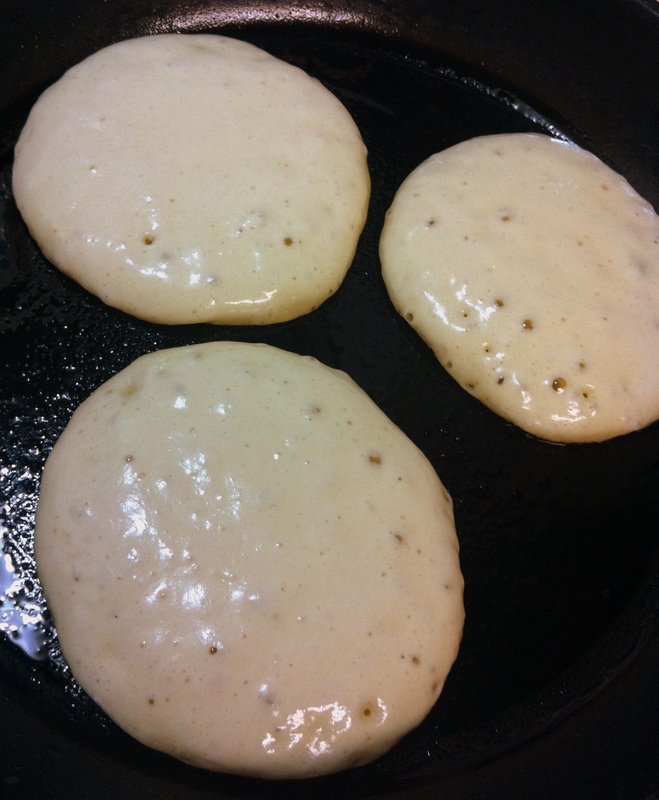 Use a ladle or handled measuring cup to pour pancake batter into your medium-hot oiled skillet. You can do “silver dollar-” sized pancakes, or large ones, whatever you prefer. Flip to the opposite side when batter begins to bubble on top and cook for another minute or so. Bubbling on top, just about ready to be flipped. Makes about 20 large pancakes. Hope you’ll give them a try soon and let me know how they turn out for you. Enjoy! You got that right, girlfriend! 🙂 Yummy! My grandma always used self rising flour for her biscuits. 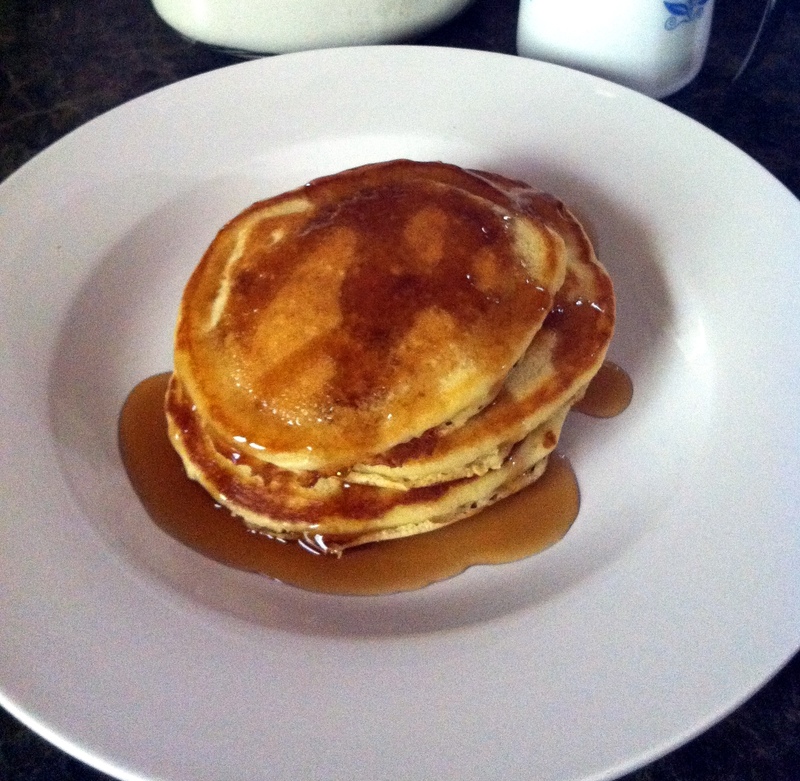 I use self rising flour with buttermilk for pancakes. 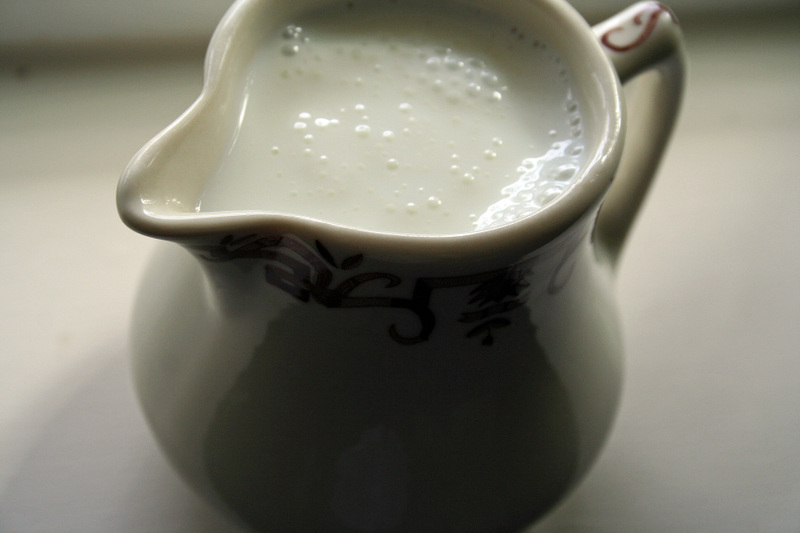 I love all buttermilk, but kids did not like so much, but could tolerate it if I used half whole plain milk and half buttermilk! My other grandma made them like the above without butter milk. (and baking soda). I could never get the exact amt of baking powder and salt and sugar just right, so I will write this one down to use! Oh, I am going to send you a link to selling photographs….Have a great day. I started mine off with fried eggs……some real, fresh country eggs with yolks so dark, they were nearly orange! Yard birds….got them from family in Oklahoma this past weekend. I feel energized……….Have a great weekend! 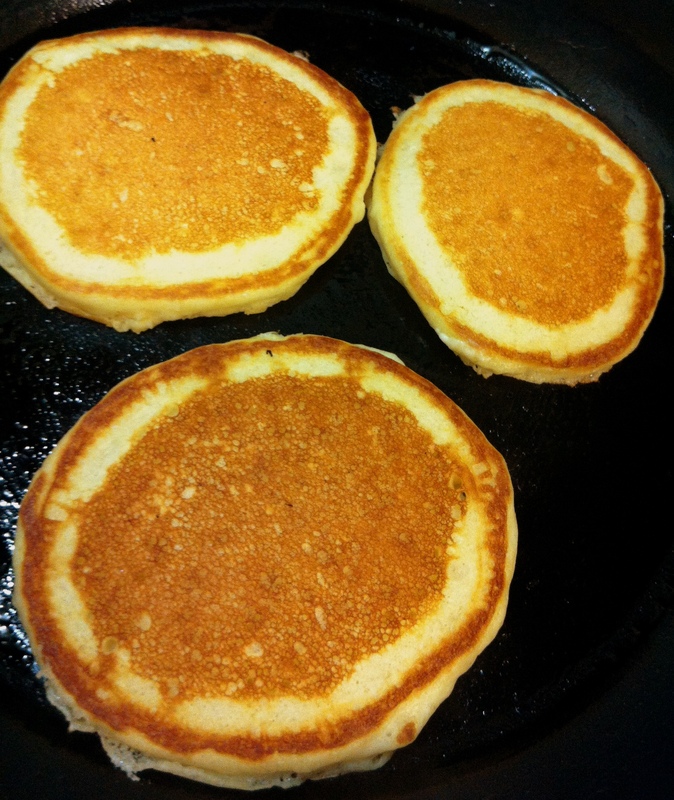 Reading your buttermilk pancake recipe takes me way back into my early childhood days when my granny made these very same cakes for my brother and I on her cast iron pancake grill. But there is one ingredient that she added extra to her was a ( tsp of vanilla ) with her home made fresh churned butter and hot maple syrup it was a young kids delight. But your recipe is the very same as my granny. An still very delicious to this very day..
Plus my brother in law has a very similar kick your taste bud recipe that is identical to your but he separates the eggs and add the yokes to the mix as he’s blending thing together. The egg whites he beat in a mixer bowl until very fluffy he adds a dash of salt to egg whites as he starts the mixer up. Then once they are nice a fluffy, he gently stirs the whites into the flour mix. This makes a very thick and rich batter. Great for hot cakes of any size or waffles! Thanks for your sharing with everyone!